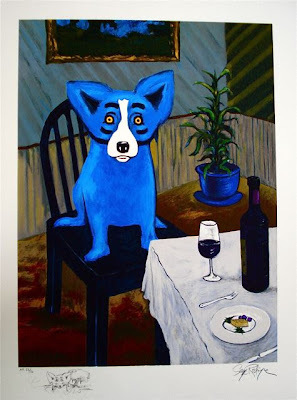 For many years George Rodrigue dreamed of painting the label for the famous Bordeaux wine, Chateau Mouton Rothschild. For a man who hasn’t had a drink in twenty years, this obsession might seem strange, unless one understands the tradition behind the label. 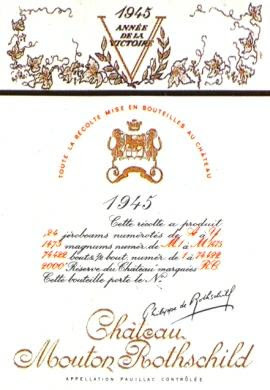 Since 1945’s “V” for “Victory” designed by Philippe Julian (above, author of The Collectors, oddly enough, which I quoted in another post) following the end of World War II, Baron Philippe de Rothschild and, since 1988, his daughter Philippine de Rothschild reserve their label for world-renowned modern and contemporary artists. The artist labels include original designs by Salvador Dali, Andy Warhol, Marc Chagall, Pablo Picasso (1973, pictured below) and many more. 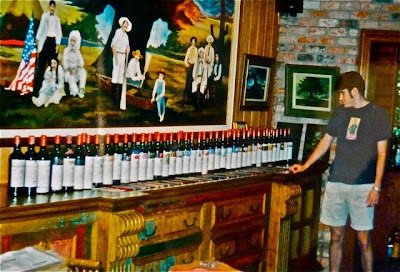 George has in his collection all but four of the bottles since 1945. The labels are perfect, and the bottles are full. It’s an excellent collection, and he looks at it often, studying the bottles and, I can see it in his eyes, wishing he were among them. Despite our bad manners, her assistant met us and treated us with grace, explaining that her boss was out of town. She hosted us throughout the winery, including a tour of the Rothschild’s private cellars and an education in the fascinating history of both the family and their legacy. In the end, Heather and I left having tasted some fabulous wines, as well as having delivered our Rodrigue message and materials. 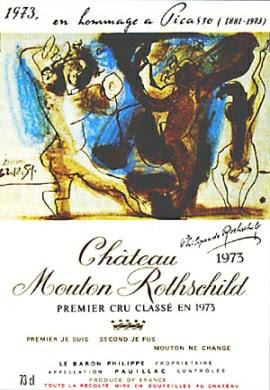 We returned home with three more bottles of Mouton Rothschild for George’s collection. 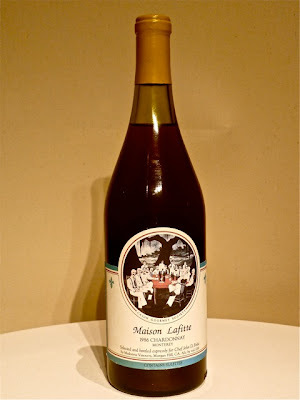 About a week later we received a case of wine from the Baroness, a gift along with a kind note explaining that the next label had been chosen, but she appreciated our having dropped by. It was a classy, but obvious, rejection. George took it all in stride and tried to convince us he wasn’t surprised or disappointed. But I knew better. He eventually moved the collection from its custom-made display case to a dark wine closet, mostly, I believe, so that people would stop asking him about it. How ironic that just a few years ago, Amuse Bouche Wine, considered by many to be an American counterpart to Mouton Rothschild contacted George about the label for their 2006 vintage. 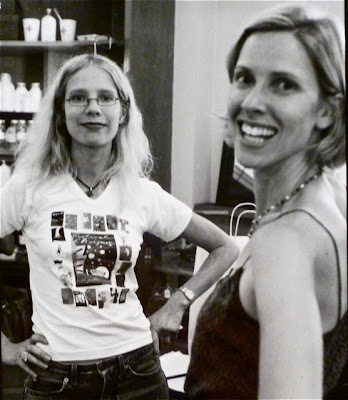 Winemaker Heidi Barrett and her partner John Schwartz devote the labels of their high-end, small-production cabernet/merlot blend to American artists. For George, pairing his artwork to this fine wine and fine American tradition of artists including Wayne Thiebaud and Leroy Neiman, was the next best thing to the French label. Indeed, after meeting the folks involved and tasting the wine, it was the better thing. This interest in labels goes way back for George, even before he discovered Mouton Rothschild. Prior to the fine wine, it’s no shock that this Cajun focused on beer, specifically the micro-brews. 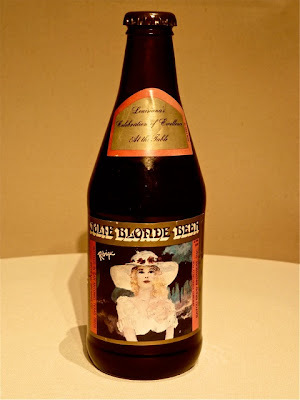 He developed a label for a special ‘bayou brew’ produced by Pearl Brewing Company in San Antonio, Texas, and called it Jolie Blonde Beer, featuring his famous painting. Together with his partner in this project, Kerry Boutte of Mulate’s Cajun Restaurant, they sold Jolie Blonde Beer in Louisiana, Texas, and California throughout the mid-late 1980s. 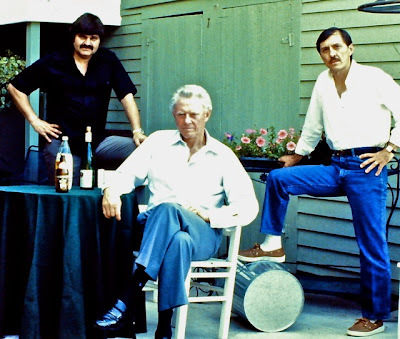 Two years later George worked on several wine labels for a joint venture with Chef John Folse for his restaurant Lafitte’s Landing in Donaldsonville, Louisiana. 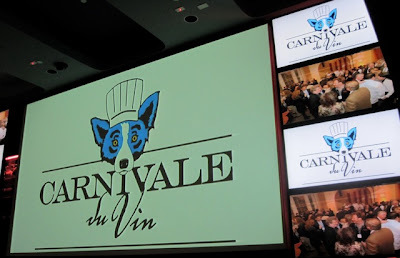 In 2009, a wine connection once again presented itself when Chef Emeril Lagasse asked George Rodrigue to create the artwork for not only the wine label for his Carnivale du Vin, but also for the event itself, a fifth anniversary celebration in Las Vegas featuring premium winemakers and chefs. 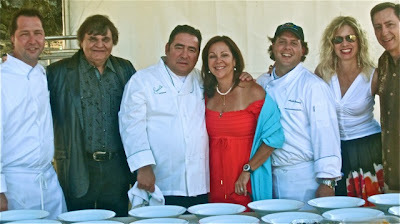 As with Amuse Bouche, this connection includes both a quality product and an established and well-respected tradition, along with the added bonus, in the case of the Carnivale du Vin, of helping to promote and raise funds for the Emeril Lagasse Foundation, including programs such as the Edible Schoolyard and Café Reconcile in New Orleans. Earlier this week we reunited with some of these Carnivale du Vin folks for a gathering at Williams Selyem Winery in Sonoma, where we talked with excitement about the upcoming 2010 event in New Orleans this November. 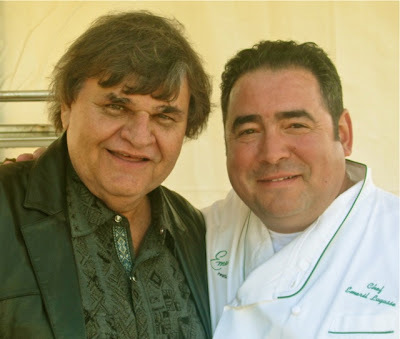 As with so many things in life, because of experiences like Amuse Bouche and Carnivale du Vin, George’s goals shifted. 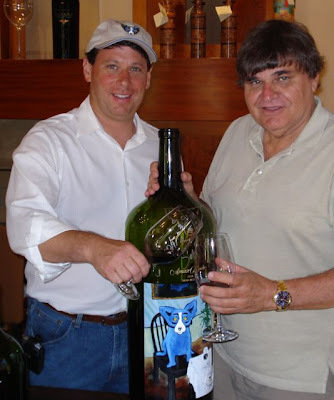 Although he may never paint a label for Chateau Mouton Rothschild, he’s collaborated on similar projects here in America and is extremely proud of these associations and the resulting friendships. In truth, these days he rarely mentions the French wine at all. 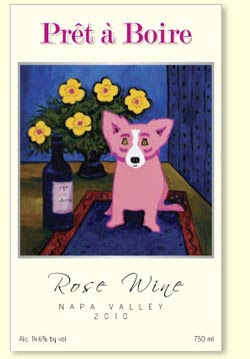 Update, 12/8/10: George Rodrigue creates a wine label for Heidi Barrett's Pret a Boire, a high end, small production rose. For more information visit here. Perhaps this is like the movie "Bottle Shock", where the American wines beat out the French for the top prize and recognition (in this case the prize being a label designed by George).